Hello everyone and welcome back to my blog! Today for you I have clubbing, Smokey eye look I’ve been wanting to post for a while and never really had an excuse to do it. Then I remembered, I don’t need an excuse to do this look. Makeup is all about having fun and creative. When my step daughter suggested for me to do a look like this, I decided it was time to do it. I love dark looks and I feel like I had a blessed makeup application. Everything just went right! It’s currently Thursday morning at 1am when I’m done and writing this. I don’t sleep anymore, lol. Let’s get into this tutorial! 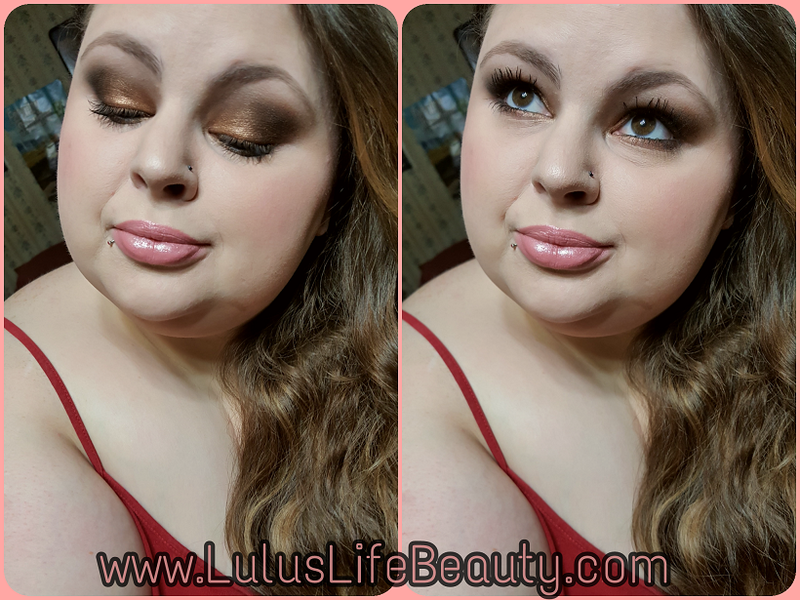 This tutorial uses two BH Cosmetics pallets, the Take Me Back To Brazil palette and the original Carli Bybel palette. The only color I used from the Take Me Back To Brazil palette is the black, it’s a really good black and I don’t have any other true matte black shadow. To start out this look I primed my eyes and set them with a creamy bone shade, like I always do. Through the crease I took the cool toned darker brown shade on a fluffy blending brush and built it up not only through the crease but in the whole outer corner. I then took the black on a natural fiber blending brush adding a little at a time to the outer corner and crease. I didn’t want to make my eyes look smaller so I went a little light with the black so it looked dark gray not a harsh black. After that I took the darkest 'highlight' shade in the Carli Bybel palette on a flat packing brush and packed it all over the lid, avoiding the very outer corner. On the inner corner I used a brighter gold for a pop of brightness. The lower lash liner basically mimics the lid colors, just a lot less shadow lol. On my brows bone I used the champagne highlight, I also used it on my cheek bones as well. Thank you so much for stopping by and checking out this makeup tutorial. I did a few things differently I wanted to mention. For my foundation I used 3 pumps and 1 drop of liquid highlight and mixed them together and buffed it in with a flat top brush. I don’t normally use a brush and I’ve never tried adding highlight to my foundation. It didn’t make me shiny or gross. There was a soft glow added and everything went on top of it so nicely. Everything I used is listed down below including makeup, tools and social media if you feel like following me! I’m trying to break 1k on Instagram and I can’t get past 924 lol.